We’re officially halfway through the week! We’re also apparently expecting a monsoon of sorts here in the Bay Area. Schools are closed for the day tomorrow, and people have begun distributing sandbags. It’s really happening, people. We’re awfully spoiled when it comes to the weather in California, so I’m staying optimistic. Hopefully my commute isn’t too crazy or rain-soaked tomorrow, but, if anything, I’ll have a good story! My friends took me to Hopdoddy Burger Bar in Scottsdale a few days ago. Fantastic burgers and shakes! 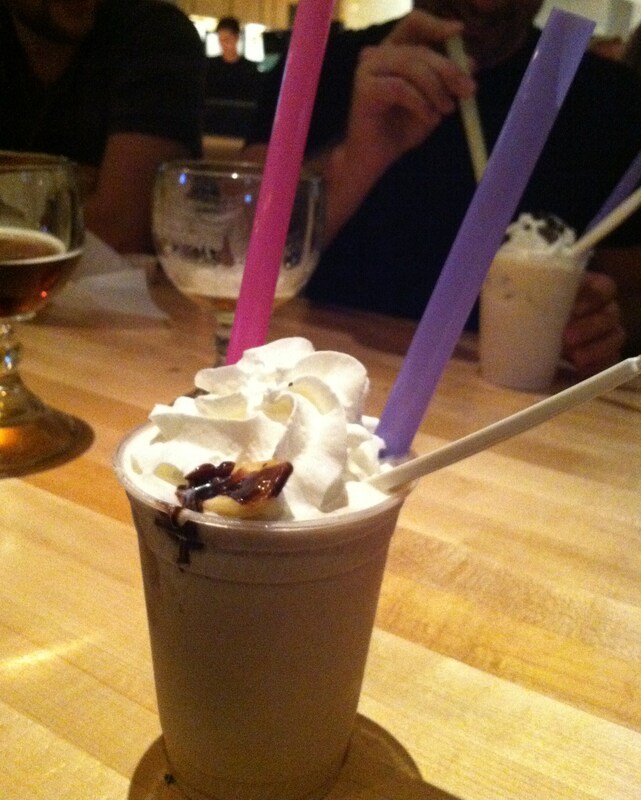 I ordered the seasonal shake of the week, which was the Frozen Banana- banana chips, chocolate, and a little cinnamon. Delicious, of course. I came away from Arizona with an extra little sparkle this week. I’ve been wanting to get a little forward helix piercing for a while, and finally did it! 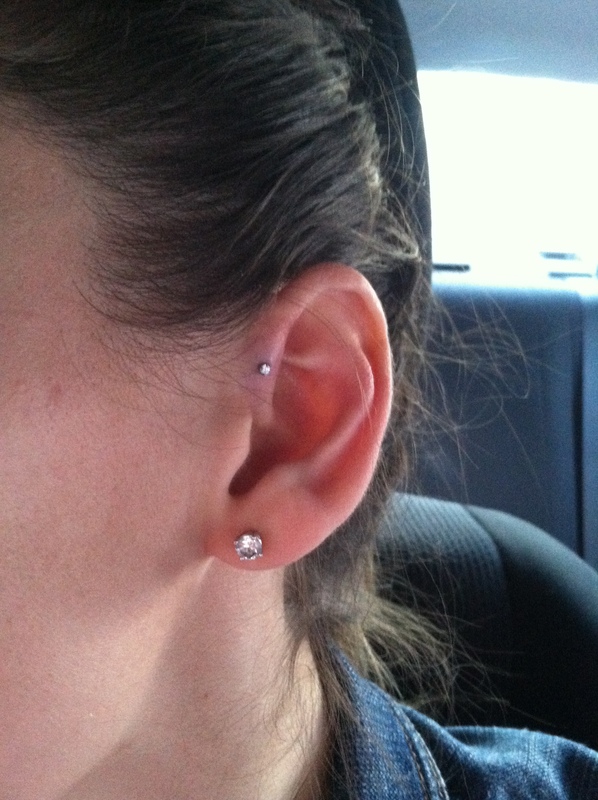 Yes, it hurt, but only during the actual piercing. We went to HTC Body Piercing in Tempe, and had such a great experience. Last weekend was the Arts Festival in downtown Tempe. I was able to catch a glimpse of it at dusk on Sunday. 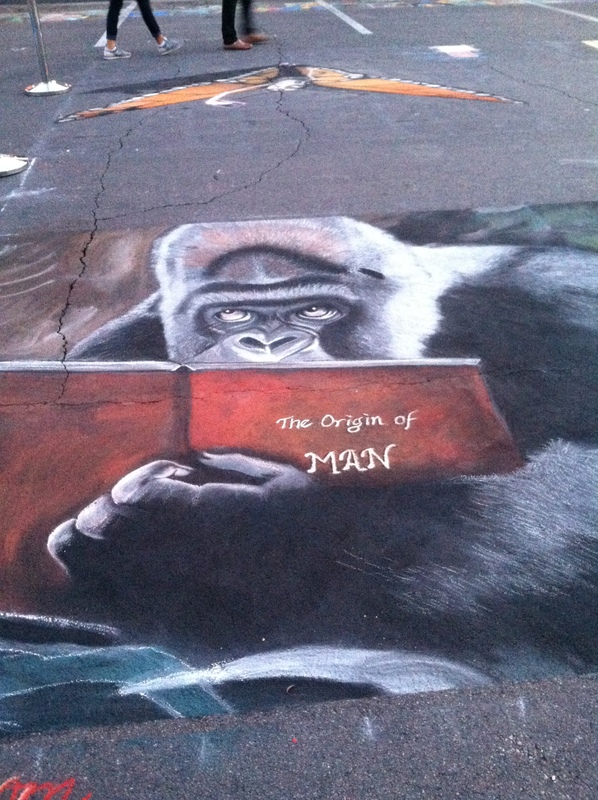 One of my favorite things had to be the beautiful, ongoing chalk art on the street. As many of you know, I have a serious shopping/thrifting habit. I was wandering about Buffalo Exchange the other day, and found this borderline hilarious top. I quickly decided that it needed to be my friend Emily’s latest birthday outfit. 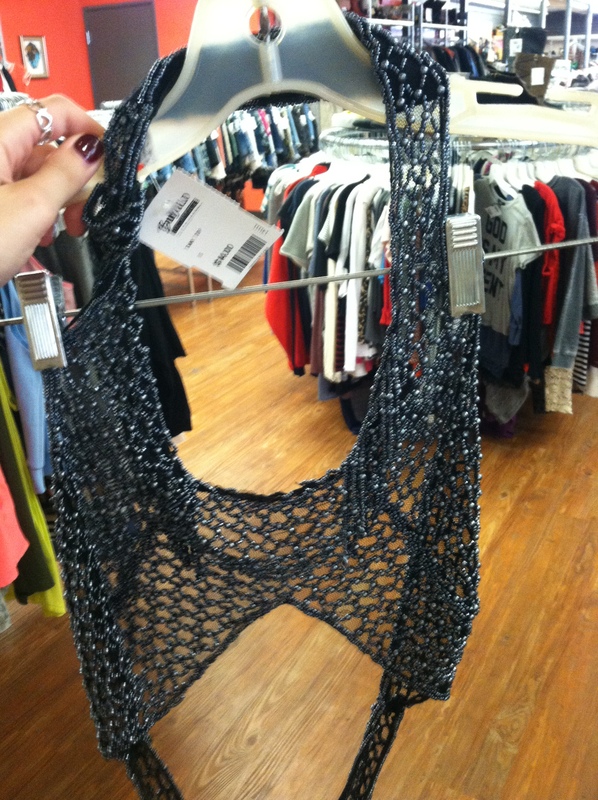 What would she be able to wear this with?! 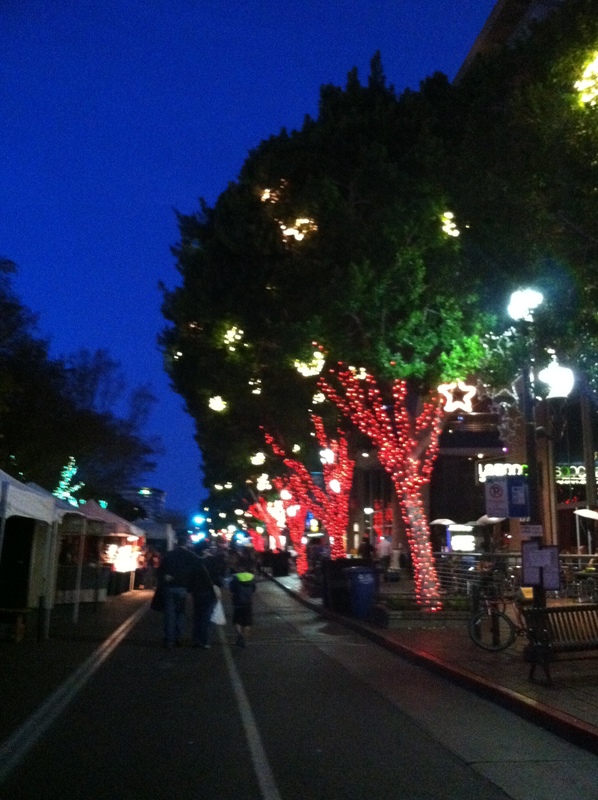 Here’s a glimpse at the streets of Tempe, all lit up with holiday decorations. I love seeing all the Christmas lights out and about. I almost wish we could keep them up all year round! It’s officially that time of the year. Happy holidays!